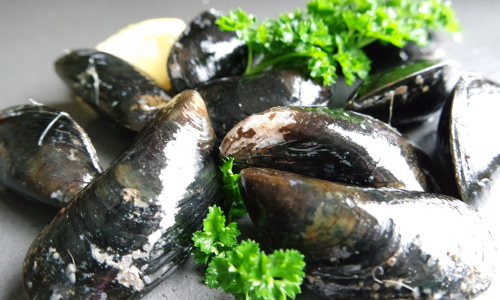 We stock Rope Mussels, the Blue Mussel (Mytlus edulis) (Diuilcin) sourced from Turk Head in Skibbereen. 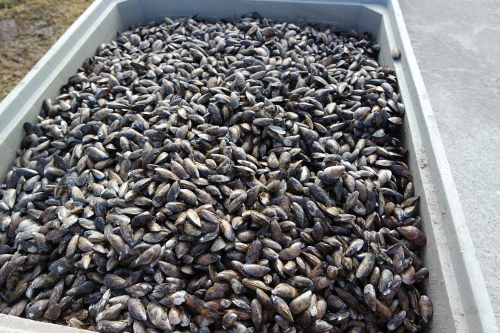 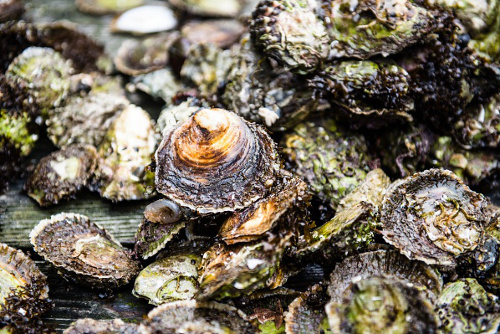 These mussels are grown and harvested using a longline floating system. 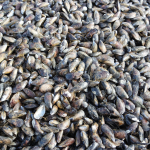 Floats are connected together by horizontal lines that support a large number of vertical ropes where mussels are grown. 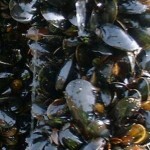 Most rope-grown mussel cultivators collect their own stock from the wild spat-fall. 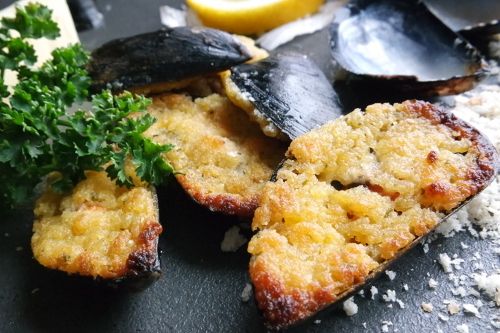 Rope mussels can be distinguished by their cleanliness, the bluish lightly yellow shell colour, their delicate taste and their high meat content. 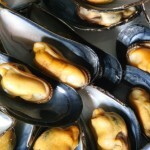 Rich in protein but low in fat and calories, mussels form an essential part of a healthy diet. 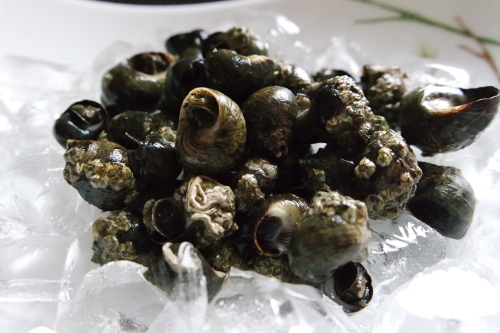 They are an excellent source of Iron and are beneficial for growth and immunity. 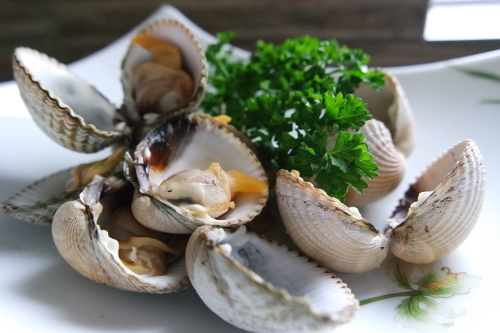 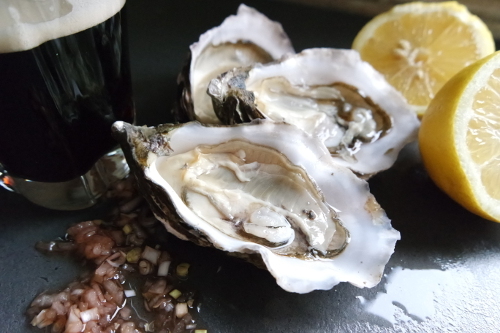 They are also a source of other minerals such as Zinc, Iodine and Selenium and rich source of Vitamins such as B1, B2, B12 and Vitamin E which maintain energy, repair damaged cells and have anti-oxidation properties.